↑ Plowden, Alison (23 September 2004). "Grey, Lady Jane (1534–1554), noblewoman and claimant to the English throne". Oxford Dictionary of National Biography. Oxford: Oxford University Press. ISBN 0-19-861362-8. 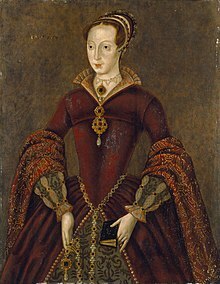 ↑ "Factsheet: Lady Jane Grey, Nine Days Queen" (PDF). Tower of London. Historic Royal Palaces. สืบค้นเมื่อ 2008-05-11. หน้านี้แก้ไขล่าสุดเมื่อวันที่ 17 มีนาคม 2562 เวลา 17:02 น.